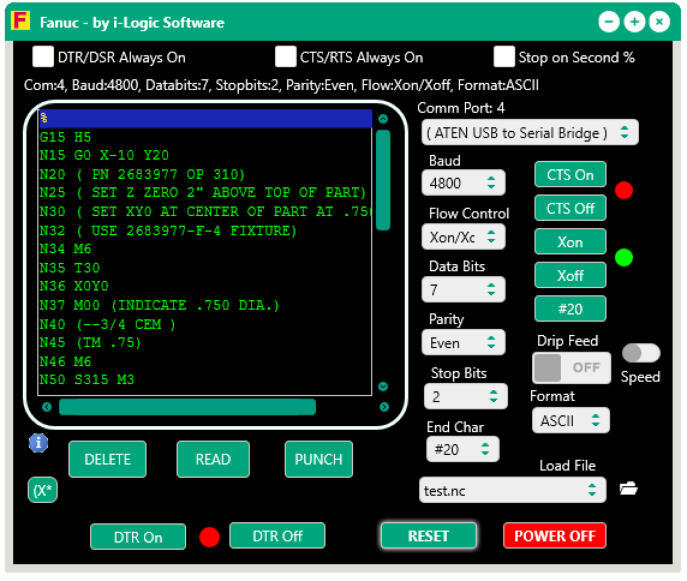 Fanuc Console is a free utility for testing CNC Serial communication. You can use it to simulate a machine control that you want to communicate with. Use it between two Windows Computers to make sure cables are good and USB converters are working. Put DNC Server on one PC and put Fanuc Console on another PC. Put a serial cable between them. 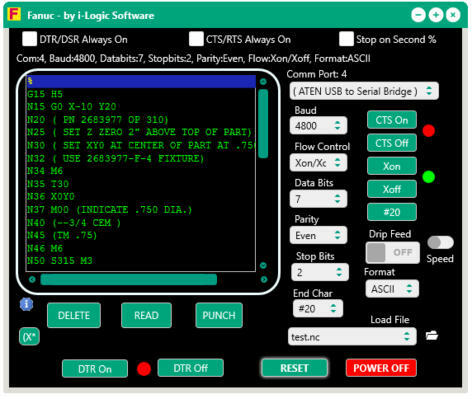 (you can put them both on the same computer with no cable if you use something like Eltima Virtual Serial Port Driver) Fanuc Console acts like a CNC control would act. It sends XON signal to DNC Server when you press the READ button. The Drip Feed feature will continuously stop and start the XON signal like what would happen in drip feeding. Installation: unzip and put anywhere.